Most of us would love to have a job that involves gaming. Be it a video game tester, a designer or even a content creator on YouTube, playing games and making money sounds like the life. Luckily for you, it’s not actually that far-fetched and thousands of people all across the world are making a living thanks to video games. 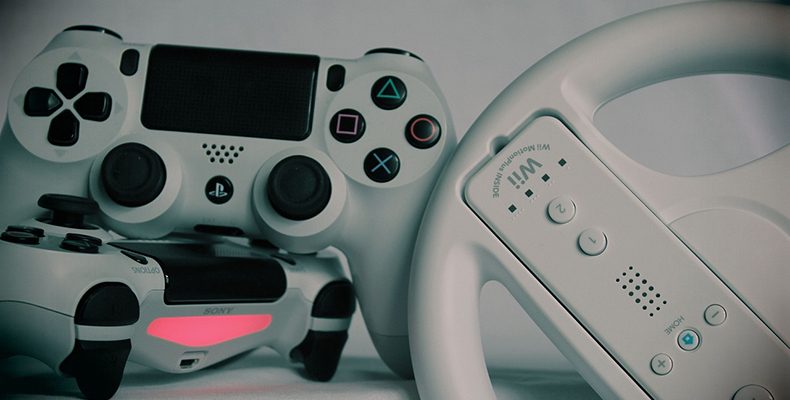 There are many paths to turning your gaming hobby into a self-sufficient one, and here are just a couple of examples, tips and tricks that you can utilise in order to make gaming pay for itself. The first thing you need to consider is how to look for sales. Even if you’re not short on money, you want to try and reduce the amount of money you spend buying games so that it’s easier to become a self-sufficient gamer. The first place to look would be on sales websites. For example, you can look at SteamDB for a detailed listing of the current games on sale for the Steam platform, and you can compare those prices against past prices so you know how good of a deal you’re getting. If the game currently isn’t on sale but was up to 67% off in the past, then you know that you can wait a little longer to get the game for a lower price in the future. The next place to look would be on global gaming marketplace websites. These websites allow people to sell off their extra games, but they’re usually limited to digital copies. For instance, if you received a digital copy of a game via a code but you already own it, then you can sell it off to another gamer on these marketplaces. However, there is a grey area. Many people are discovering that some sellers actually use stolen credit cards to buy batches of digital games, hence why they’re available for lower prices. If you don’t enjoy the possibility of buying a game bought with a stolen credit card, then it’s best to avoid these. However, if all you want is to make gaming a cheaper hobby, there’s nothing wrong using these websites. Let’s take a look at making money back from your video games. In other words, how to make your hobby self-sufficient. You can start by selling your games or trading them in when you’re finished with them. There are websites like http://buybackexpress.com/sell-movies-music-games/ that allow you to quickly and easily get a price check on your games, then they’re quickly and easily sold in batches. It’s a fantastic way to offload physical games, such as old copies of Call of Duty or outdated versions of sports titles like Madden and NBA. That’s the simplest way to make money back from your games, but it’s usually not enough to make gaming a self-sufficient hobby. In order to do that, we need to dive into the world of content creation in order to truly make gaming a hobby that can pay for itself. Services like https://www.twitch.tv/ cater towards gamers. It’s essentially an online live broadcasting platform that is funded by ad revenue, sponsorships and donations. Anyone can broadcast their gameplay from their computer provided they have a powerful machine, or they can even do it straight from their PS4 or Xbox One console. Getting viewers depends on your niche. You either have to be extremely good at certain video games to draw in attention, or you need to be a really entertaining person that interacts with the viewers a lot. Streaming also requires a fast internet connection which is something that not everyone can afford or have access to since it depends entirely on your location. Streaming also isn’t very suitable for people who have trouble making public appearances because they’re shy or anxious. It is, however, a fantastic way to play games the way you want, build up an audience, and essentially make money from subscriptions, donations, sponsors and ad revenue. Popular streamers can easily pull in 30,000 or more viewers in a single night and have thousands of people that are willing to pay $5 or more per month to support them. If appearing live isn’t really your idea of fun, then the alternates are to start a blog, write reviews and editorials for a publication, or even create YouTube videos. If you’re unsure about how to do this, then this article at https://mmos.com/editorials/so-you-want-to-write-about-games is a fantastic starting point that will explain what it means to become a writer for the video game industry. There are many famous video game industry writers that have tackled all kinds of jobs. From writing simple news articles to reporting on the growing eSports industry, or reviewing games and becoming controversial figureheads due to their strong opinions on beloved video games. Finding a niche that you want to explore is important, but you won’t find your niche just by being controversial. Start off by writing daily blog posts. The posts need to be imbued with a sense of personality. Show your humorous side, show off your skills, or just rant about something that you find distasteful in the gaming industry. Once you’ve built up some confidence and video editing skills, you can move on to creating YouTube videos. Until you build up an audience, there’s no way to make money from just a handful of viewers or readers. Most of your income will come from ad revenue, but in the future, you might be popular enough to receive sponsorships deals from developers and services all over the world. But it’s important that if you want to make this a long-term solution to make gaming a self-sufficient hobby, you have to enjoy it and do it for the love of video games. An attractive sponsorship deal means nothing if you have to compromise your integrity to get the money.